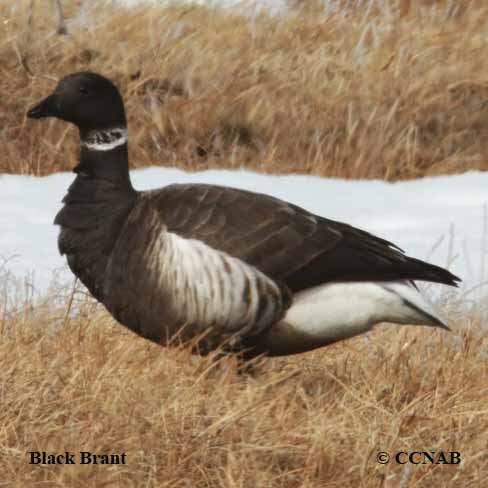 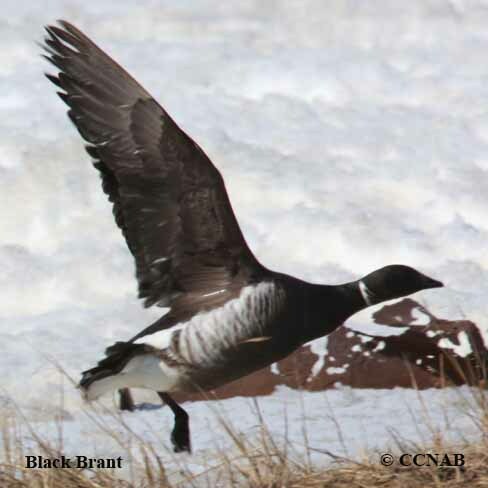 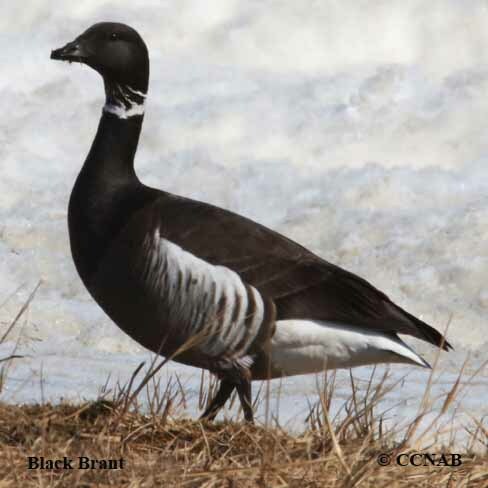 Black Brant is a sub-species or race of the Brant family. 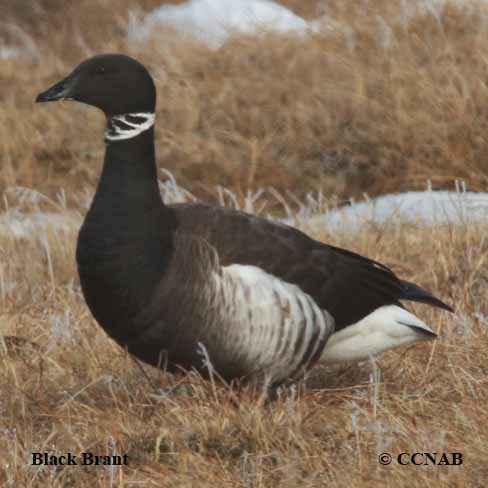 This very black goose is the darkest of all the races. 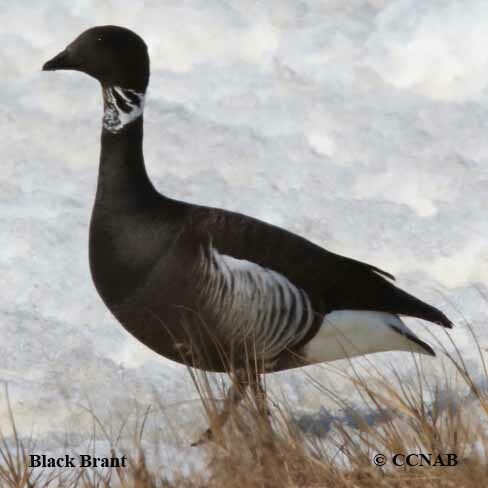 It nests in northern Alaska and spends its winters along the coastlines of the lower states bordering the Pacific Ocean.